This Giveaway is available to Retail Cash Customers only. You must mention that you saw this on the website, or heard the commercial on WSRS to receive your Firepit. To receive a free Firepit, you must spend One Thousand Five Hundred dollars at either the Worcester or Charlton store in a single purchase. You must take delivery by May 30, 2019. Not included in the purchase total are items such as pallets, delivery, or taxes. 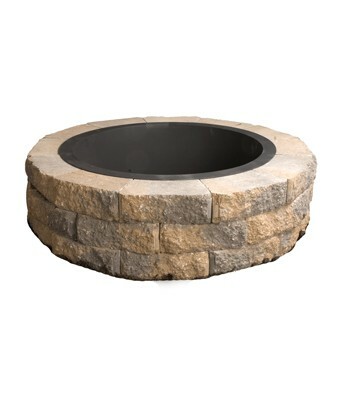 The Firepit shall consist of up to three tiers of wall units from either Wedgestone wall units from Hanson Products or Square or Round Firepit block from Genest Concrete. It includes any of the colors available, along with one metal insert ring, either square or round. If a Firepit is not requested, no value is deducted or applied toward the invoice total of any material or costs. This Giveaway can be applied to any qualifying purchase made in April of 2019.